I'll admit, I love when Hollywood does a dark twist on classic fairy tales. If you take out the hope and wonder aspects of many of them, they could easily go down dark paths in a new story (see director Tim Burton's Alice in Wonderland, for instance). Next up on Hollywood's list? The classic story of Snow White, who in this version tag teams with the seven dwarfs to reclaim their destroyed kingdom. 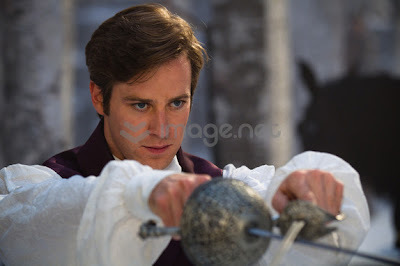 Director Tarsem Singh (The Cell and the upcoming Immortals) weaves together an imaginative spin on the tale with Lily Collins as the title character, Julia Roberts as the Evil Queen and Armie Hammer as the gorgeous prince Andrew Alcott. Nathan Lane and Mare Winningham also costar. 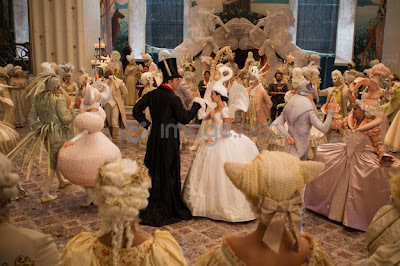 We've got our first look at a few stills from the movie, which is scheduled to hit theaters next year, below. Could be fun. I loved Tarsem Singh's The Fall. I hope it has a similar feel. Tarsem Singh's is a very visual director, I'm really looking forward to this, much more than the Kristin Stewart led Snow White warrior take that's being films. 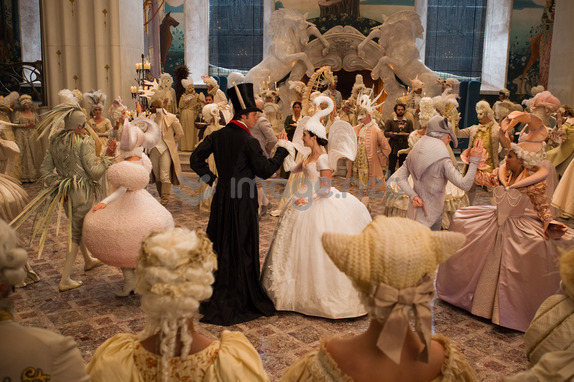 Wow, those stills look absolutely stunning and I love the cast. Can't wait for "Immortals" as well! 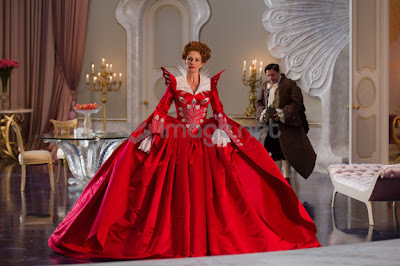 It certainly is visually sumptuous, but I never expect the simplicity of Snow White to look so stunning. Still, it looks excellent.